Azaleas are known for their beautiful spring blossoms, and they have become an extremely popular element in landscape design. These lovely shrubs are available in both deciduous and evergreen varieties. However, they are susceptible to several fungal diseases. The Phytophthora fungus causes root and crown rot in azalea plants. According to Clemson University, it is a water mold, which thrives during wet conditions and in soil that has poor drainage. Symptoms of root rot include plant wilting and blackened mushy roots. If your plant has crown rot, there will be discoloration or browning of the lower part of the stems of the plant. Crown rot can also occur when plants are planted in the soil too deeply. Once the symptoms of root or crown rot are apparent, it is too late for any chemical treatment. The best defense against the disease is to work towards preventing it by buying healthy plants. Look for an azalea that is green in color and one that does not exhibit morning wilt. Make sure that the roots of the plant are not dark in color, as this too is a sign of fungal root rot. If possible, purchase plants that have some resistance to this fungal disease, such as Indian azalea, Corrine, Glacier or Hampton Beauty, to name a few. Also, be sure that the planting site has soil that is organically rich and well-drained. The fungus Ovulinia azaleae causes petal blight, which affects the flowers of the azalea plant. Symptoms are small spots or freckling on the petals of the azalea blossoms. If the blossoms are white the spots will be brown, and if the blossoms are colored then the spots will be white. As the disease progresses, the spots grow together, and they soon become soft and watery, causing the blossoms to rot. The rotting blossoms then stick to the leaves. When watering the plant be sure to water at its base and not overhead. Remove blossoms that exhibit signs of the disease as soon as possible and discard them. Remove mulch, as it may contain fungal spores, and replace it with new mulch. Severe cases can be treated with a fungicide containing captan, chlorothalonil, maneb, PCNB, triforine, vinclozolin or triadimefon. Leaf gall attacks the plant during the spring season, April and May. Symptoms of the disease include the development of a distorted growth on the leaves and buds; leaves and stems may begin to curl and turn light green to white in color. As the disease progresses, the galls are covered with a powdery white matter. Later the galls become hard and brown in color. Most cases are not severe, and treatment is the removal of the galls from the plant. Galls should then be destroyed. In severe cases, a fungicide such as mancozeb, copper salts of fatty acids or triamiefon, per Clemson University, should be applied. Dieback is difficult to control. It is caused by the Phomopsis fungus. A symptom of the disease is that healthy plants begin to exhibit dying branches. Generally, dieback will be on a single branch of the plant. To determine if your azalea has dieback, examine the wood underneath the bark of the dead branch. The wood underneath the bark will be chocolate brown in color. The best defense against this disease is to maintain a healthy plant--follow a regular program of watering and fertilization. 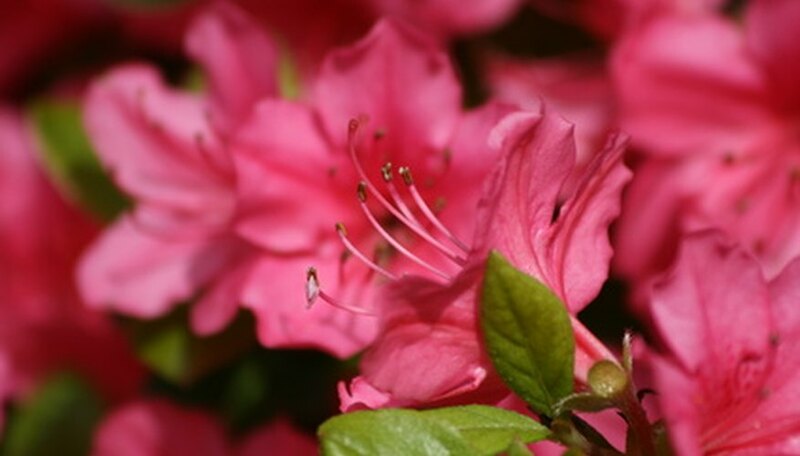 Also, when choosing an azalea plant, select varieties that are less susceptible to dieback such as: Delaware Valley White, Hershey Red, Pink Gumpo and Snow. If your plant has dieback, prune out the infected branch or branches. Destroy the infected material--do not put it in your compost bin, and be sure to disinfect your pruning tools. A fungicide containing thiophanate-methyl or mancozeb can be applied.